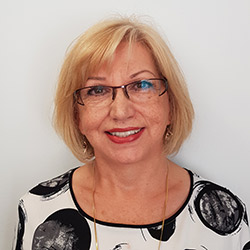 Stella Dichiera – Clinical Hypnotherapist – has been practising for 14 years and is passionate about empowering people to make changes and enhance their lives. Stella believes there needs to be more education and awareness of hypnotherapy as a valid method to achieve this. Stella provides a very effective Quit Smoking session, supported by a CD and booklet to take home. She specialises in Weight Loss and uses the latest program from the UK developed by Sheila Granger called Virtual Gastric Banding. This is a process where the client imagines their stomach to be much smaller and will automatically reduce their portion sizes and will be encouraged to exercise. This is in conjunction with listening daily to a supporting hypnotherapy CD. Service Provider Numbers: Medibank, Australian Unity, CBHS, Teachers Health Fund and Navy Health.